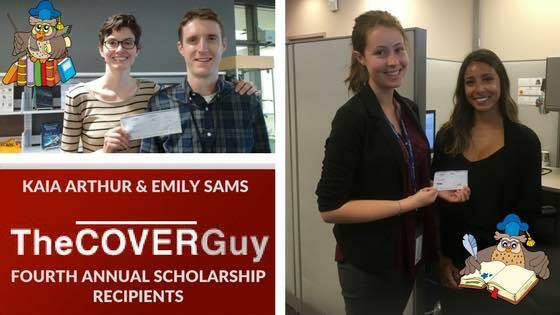 It is our great pleasure to announce the recipients for The 4th Annual Cover Guy Scholarships. Kaia Arthur and Emily Sams, with their commitment to educational studies, and community work they have risen above all other applicants for this years scholarships. Kaia and Emily strive for the values the The Cover Guy holds in high regard in our communities. Hard work and dedication has to be rewarded and The Cover Guy is pleased to be just a small part in their educational journey. Kaia has also been active in volunteering in many ways including being a big sister for the past three years, AmeriCorps Vista Volunteer, Volunteers at the Library Homework center, and also the University of Minnesota Foundation. It always amazes me how young energetic people like Kaia give so much of themselves, and we are so much better for their gift. Emily will be attending the University of Ottawa and is entering her fourth year of Conflict Studies and Human Rights with a minor in Women’s Studies. She as well hopes to use her education to aid the less fortunate in our communities. Emily volunteers her time outside of her academic pursuits as well. She works at the Indigenous and Northern Affairs of Canada. She is a part time Junior Analyst in the Emergency Management Directorate. 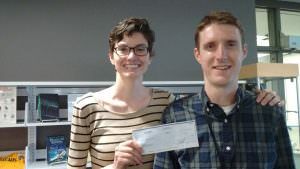 They support the activities of a 10 person team responsible for supporting Aboriginal communities during a natural disaster. She is also part of the youth leadership activities and currently sits on the board of directors for a non-partisan charity called Ontario Youth Parliament as the Premier and Director of Youth Programming. Emily is the Vice President of Recruitment for Theta Sigma Psi, a women’s organization at the University of Ottawa. Holding the mandate to plan events for potential new members of the organization. Philanthropy Chair is another position she has held. 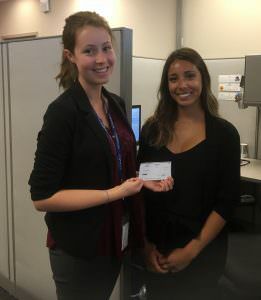 She helped raise over $700 during the school year for various women’s charities in the city of Ottawa. The Cover Guy believes in the youth of our communities. We are proud that we can help a little for some of the great individuals like Kaia and Emily. The 2018 5th Annual Cover Guy Scholarship is now open to registrations.